This textbook differs from others in the field in that it has been prepared very much with students and their needs in mind, having been classroom tested over many years. It is a true “learner’s book” made for students who require a deeper understanding of probability and statistics. It presents the fundamentals of the subject along with concepts of probabilistic modelling, and the process of model selection, verification and analysis. Furthermore, the inclusion of more than 100 examples and 200 exercises (carefully selected from a wide range of topics), along with a solutions manual for instructors, means that this text is of real value to students and lecturers across a range of engineering disciplines. Presents the fundamentals in probability and statistics along with relevant applications. Explains the concept of probabilistic modelling and the process of model selection, verification and analysis. Definitions and theorems are carefully stated and topics rigorously treated. 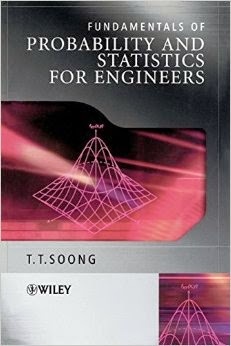 Includes a chapter on regression analysis. Demonstrates practical problem solving throughout the book with numerous examples and exercises purposely selected from a variety of engineering fields. Includes an accompanying online Solutions Manual for instructors containing complete step-by-step solutions to all problems. Presents a sound treatment of the fundamentals in probability and statistics. Provides self-contained material with smooth and logical transition from chapter to chapter. Includes relevant and motivational applications in every chapter with numerous examples and problems. Demonstrates practical problem solving throughout the book with stimulating exercises, including answers to selected problems. Fundamentals In Applied Probability And Statistics For Engineers provides invaluable support for all engineering students involved in applications of probability, random variables and statistical inference. This book is also an ideal reference for lecturers, educators and newcomers to the field who wish to increase their knowledge of fundamental concepts. Engineering consulting firms will also find the explanations and examples useful.